As Coco Cola would say, holidays are coming. The month of December to me means one thing, Christmas is coming. I love this time of year, such a magical feel to it and as a big kid myself, I like to do many activities some with the children and some by myself that manage to make it all that more special and exciting. 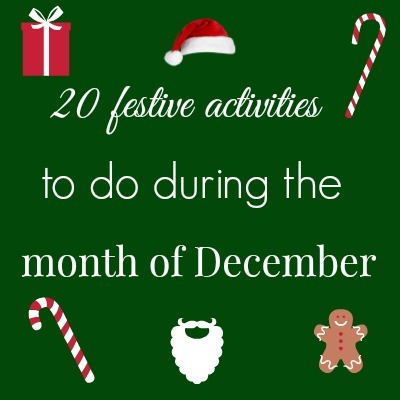 Below I have listed 20 things to do and make during the month of December to get you and your family prepared for all of the festivities to come. 1. Decorate the house with the Xmas decorations, the earlier the better I say. 2. Join in with Elf on a Shelf. 3. Write and post your letters to Santa Claus, fingers crossed you get a reply. 4. Make your own Christmas cards and of course write them. 5. Buy the sweets and chocolate ready for Christmas, eat them and buy some more. 6. Cut out paper snowflakes and create some fabulous paper chains. 7. Read and talk about the nativity and of course if you have a young child like myself then go and watch them perform, whether they are mary, the donkey or a twinkly shining star, the moments still just as magical. 8. Eat mince pies daily, or is that just me? 9. Make salt dough ornaments ready to hang on the tree. 10. Have a sing and a dance to Christmas songs, love a bit of Mariah Carey, All I Want for Christmas!! 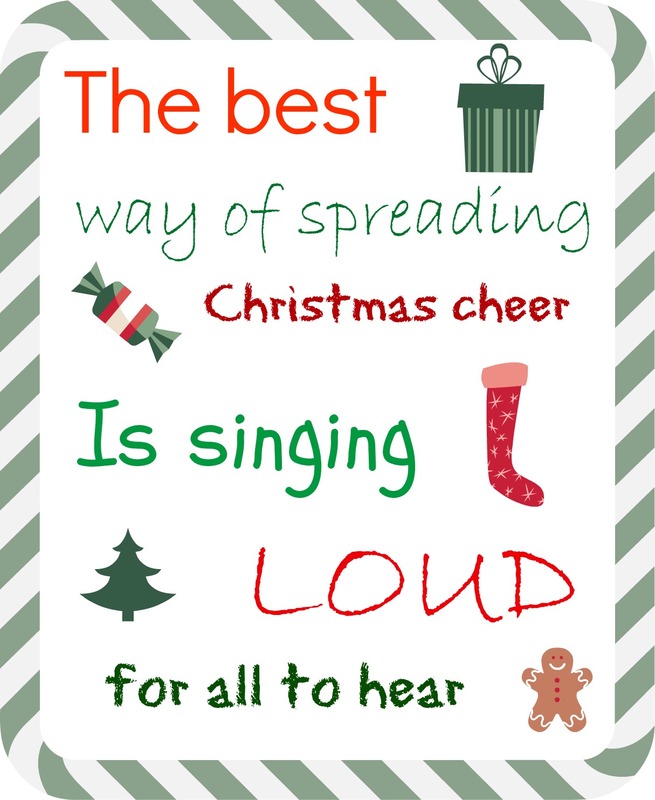 Because remember the only way to spread festive cheer is singing loud for all to hear. 11. Drink a hot chocolate (snowman soup) with a candy cane stirrer, mmmm peppermint. 12. Take a wander and look at all the Christmas lights that others have hung. 13. Watch Christmas films, I recommend Elf, Muppets Christmas Carol, The Polar Express and The Snowman. 15. 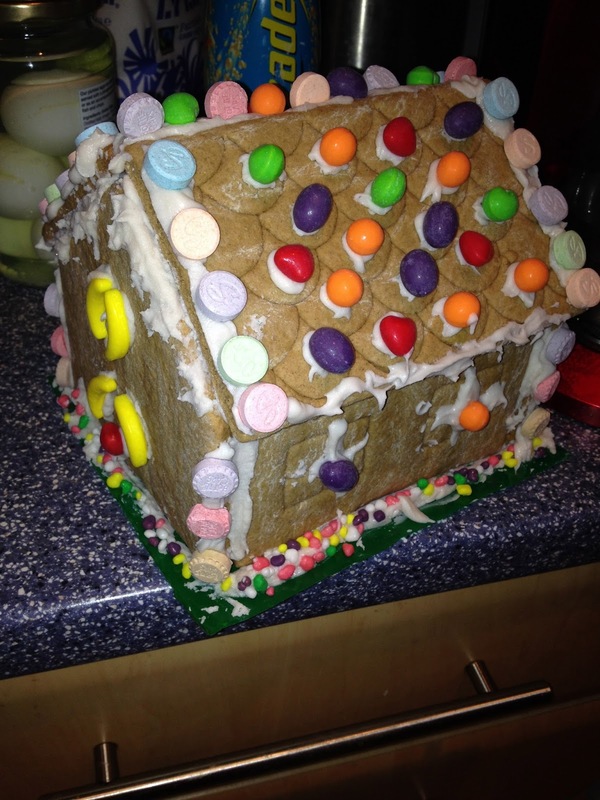 Make Christmas themed cakes and cookies and if you're feeling brave why not make a gingerbread house (or cheat and buy pre made). 16. Wrap presents whilst drinking mulled wine. 17. Don't forget to hang those stockings!! 18. Mix up some reindeer food and sprinkle over the garden. 19. Read The Night Before Christmas on Christmas eve. 20. 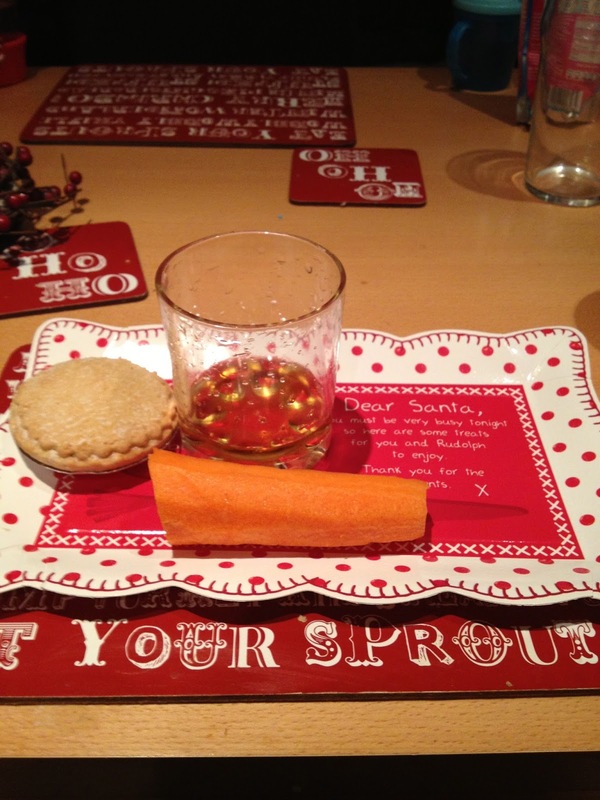 Create your own family Christmas tradition, some of the best memories you'll make. We do lots of these! Making salt dough decorations is one of my favourites - must do that again soon. Oooh - I'm begining to get a bit excited! And a bit nervous... Little Owl is 2.5 so it really is time to get our act in gear, this is our last practice run at Christmas, all our traditions need to be embedded by next year! One thing that's fun to do with salt dough ornaments is to add cinnamon (1 part cinnamon, 1 part salt, 2 parts flower, and then 1-1.5 parts water to get the consistency). It makes the dough brown and smells amazing. It's great for gingerbread men, houses, stars, and reindeer in particular.